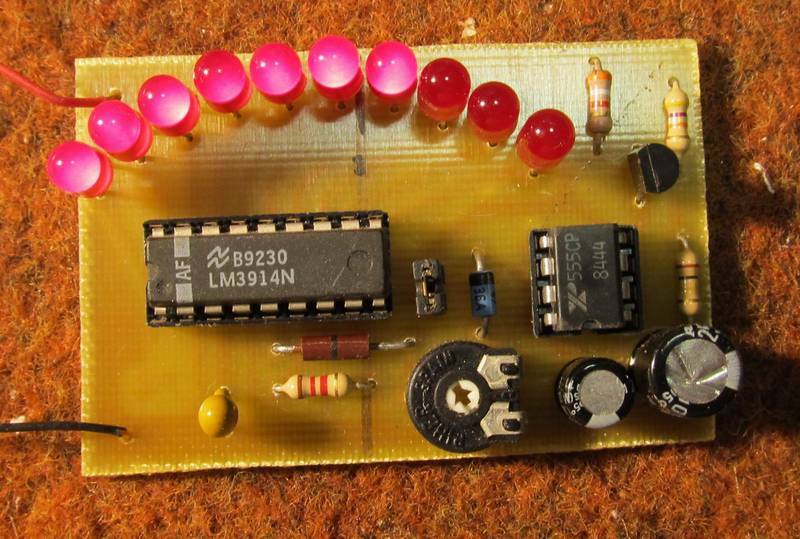 Preliminary article Created: "Sept 8, 2012"
Latest Update: "Sept 9, 2012"
Here is a Simple Circuit to produce a Ramp type of display. It could be used as a Turn Signal Indicator, with either a Moving Dot or Bar Display. 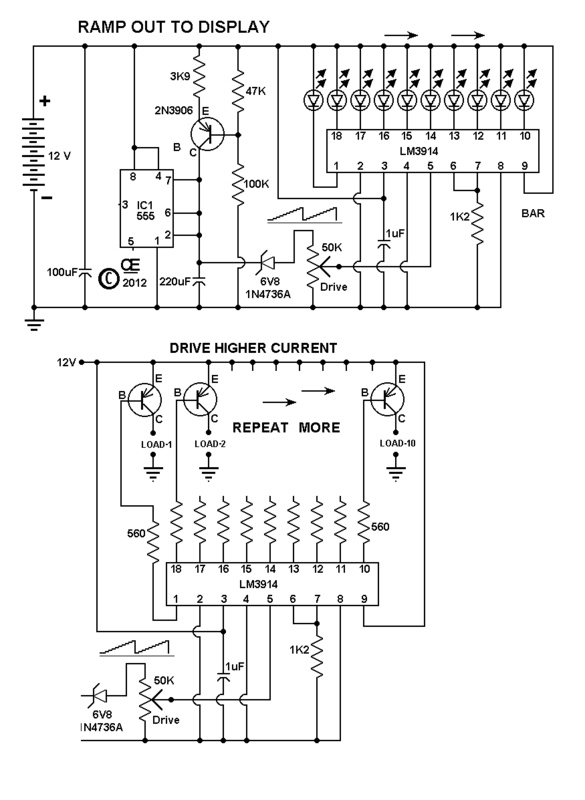 A Second Schematic and PCB is also supplied to allow for a Higher Current Drive. I used 2N3906 Transistors for my testing and can deliver about 200 mA. But any PNP Transistor are OK. Here is a Link to my Prototype, showing this in operation. NOTE: The Light Bulb in this Video is wired to show a Full display Sequence. May be Subject to some Changes. 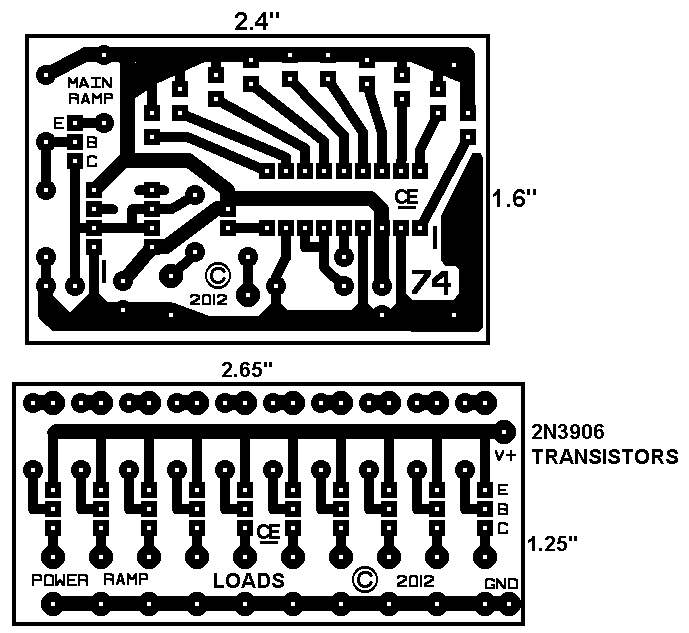 Note: The Little Part Beside the LM3914 is a SIP PIN JUMPER to change from BAR to DOT Mode. It Could also be a Toogle Switch.